With 100 days until the UK's scheduled departure from the EU, the European Commission revealed contingency plans for a "no-deal" Brexit. Meanwhile, UK businesses have condemned the "lack of progress in Westminster." The European Commission on Wednesday proposed 14 contingency measures to prepare for the possibility that the United Kingdom leaves the European Union on March 29 without a withdrawal agreement in place. The proposals concern several areas the European Union's executive believes would be impacted in the case of a so-called "no-deal Brexit," including financial services, air transport, customs, and climate policy. Inviting "Member States to take a generous approach to the rights of UK citizens in the EU, provided that this approach is reciprocated by the UK." This would ensure that UK citizens legally residing in the EU on the date of withdrawal would continue to be considered "legal residents," with a "pragmatic approach to granting temporary residence status." For financial services, measures to prevent disruption in the clearing of derivatives, central depositaries services and for some over-the-counter derivatives contracts. For transport, temporary measures to ensure air services and aviation safety licenses and road haulage into the EU. For customs and goods exports, EU legislation is to apply with declarations lodged in the EU. The EC also proposes to continue the PEACE programme in Northern Ireland until 2020. 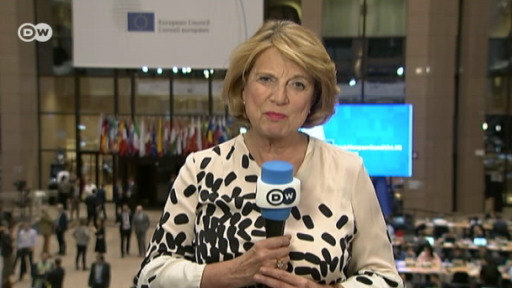 The commission urged the European Parliament and the European Council to "adopt the proposals as a matter of urgency." It also called upon EU member states to "accelerate their work to prepare for all scenarios for the United Kingdom’s departure." The UK is scheduled to depart the European bloc in 100 days time and Prime Minister Theresa May has thus far failed in attempts to find support from British parliament for her Brexit deal, one the EU says it will not renegotiate. If the two sides fail to ratify an agreement by March 29, the UK's exit would be unregulated — the so-called "no-deal" or "hard Brexit" scenario. UK Prime Minister Theresa May told the British parliament on Wednesday that she was working with the EU to gain the assurances she believed were necessary to win over the lower house. "We will set out what is achieved in our EU discussions when we return in the New Year, when we have had those discussions,"
On Tuesday, the British government said it would bolster preparations for a "no-deal" Brexit. The plans include putting 3,500 British troops on standby to prevent public order from deteriorating and setting aside space on ferries to ensure a flow of medical supplies. Britain's five main business lobby groups on Wednesday said UK businesses were "watching in horror" as lawmakers haggled over May's withdrawal deal and had begun to make their own contingency plans for a no-deal scenario. "Businesses of all sizes are reaching the point of no return, with many now putting in place contingency plans that are a significant drain of time and money," the British Chambers of Commerce, the Confederation of British Industry, the Federation of Small Businesses, the Institute of Directors and the manufacturers' organization EEF said in a joint statement. "Businesses have been watching in horror as politicians have focused on factional disputes rather than practical steps that business needs to move forward. The lack of progress in Westminster means that the risk of a 'no-deal' Brexit is rising." Business leaders worry that additional checks on the post-Brexit UK-EU border will clog ports, congest trade and disturb supply chains across the continent and beyond. On Wednesday, May was expected to urge the leaders of Scotland, Wales and Northern Ireland to "listen to business" and back her Brexit deal.